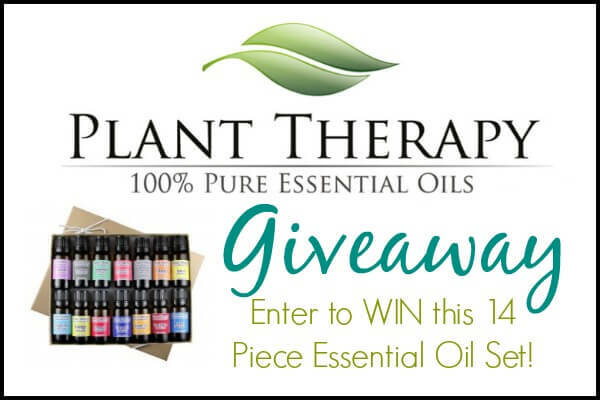 Plant Therapy is giving away their Top 14 Essential Oil Set in a gift box (7 top singles and 7 top synergies) to one of my readers! Do you use essential oils or have you always wanted to try them? Are you like me and like to make your own non-toxic body care and cleaning products? If so, then this giveaway is perfect for you! 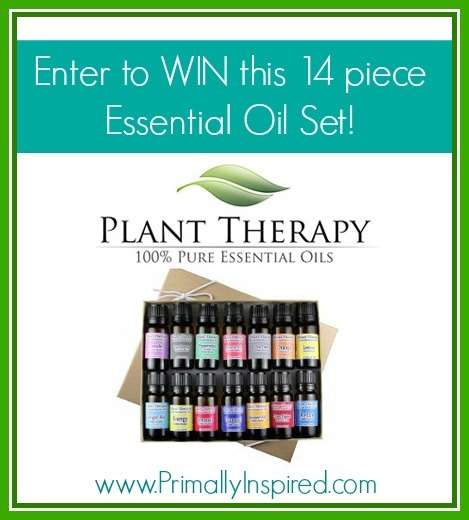 This week one of my readers will win a case of Plant Therapy’s Top 14 Essential Oil Set! All of Plant Therapy Essential Oils are certified to be 100% pure and natural, of therapeutic grade and free from any chemicals or pesticides. I like to use their essential oils in my easy whipped coconut oil, homemade bath salts, homemade deodorant and so much more! I even help prevent the flu using Plant Therapy’s Germ Fighter Synergy blend! 1. 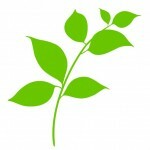 Click on the link below and sign up for Plant Therapy Newsletter. 2. Use the Rafflecopter widget below to enter this giveaway and unlock additional entries. This giveaway is open to all our readers worldwide. However, if the winner lives outside of the United States they will need to pay for shipping on the prize they won. I love tea tree oil! I use it all the time for skin irritation and disinfecting! But I also use witch hazel, eucalyptus, and peperment quite a bit. Would love to try some others! I don’t have a favorite. I’ve been wanting to try essential oils! I use EOs every day. My favorite is probably peppermint. Lately though I have been addicted to your lavender relaxing lotion, but to it I add an equal amount of bergamot! The result is divine. Puts me right to sleep 😉 I use wintergreen in my laundry for freshness. Peppermint, though, is what I probably use the most of. i use eucalyptus oil all the time for my sinuses. for my body, i like orange and peppermint. I LOVE putting lavender essential oils in my son’s humidifier at night. . . happy, deep sleep for my little man, and mom and dad! I love to use peppermint oil, especially for relaxing! I have been wanting to try this oils. I make my own face cleaner and face cream but haven’t added oils yet but have been wanting to. I use multiple essential oils in my home . My favorite is lavender. I’ve never used essential oils! I am interested in them though!! EOs are awesome and Plant Therapy is wonderful! So glad I found them and am trying to grow my small collection! They are a great company. I’m just starting to make my own hair and skin products so I can minimize toxins. Would love to try everything! I would love to learn more about diffusing oils. I already use them when making personal care and cleaning products. i would love to win this kit….my fav is prob lavender or rose. I’m a toddler teacher and have been using germ-fighter to stay healthy this winter! I am new to using essential oils. but i love them. I find it fascinating. I think i have used lavender the most. I want to start using essential oils since I’ve recently become acquainted with all the benefits. I haven’t had any oils for awhile, but am looking to get back into them again, never should have stopped. my fave was lavender and I’m very interested in tea tree oil. I use several essential oils. Last night I used Lavendar and Lemongrass in epsom salt for my husbands muscle soaking bath. I use them in all kind of homemade items, toothpowder, mouthwash, lip balm, lotion bars, body oils! My fave combo right now is tea tree and peppermint!!! I use Tea Tree oil mixed with coconut oil for my itchy scalp when the cold sets in. I also use peppermint, bergamot, grapefruit, lemon, lemongrass and geranium oils in a variety of ways. Sounds like a great starter kit, I have used them before nut it’s been awhile. Great giveaway! Pretty new to essential oils but love lavender. I love lemon oil and sweet orange oil for cleaning peppermint for migraines, and lavender and chamomile for relaxation! I like peppermint essential oil in homemade tooth paste and mouthwash. In my tooth paste I also use cinnamon, clove and myrrh essential oils. I use tea tree oil most as a disinfectant, a preservative in some homemade personal care and cleaning products such as dish soap, and as a medicinal application. Very effective for the occasional acne breakout. 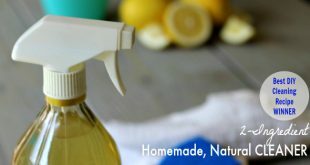 I use lemon oil in a homemade spray air freshener. There are several other essential oils I use for various applications also. I love essential oils and homemade products. Lavender is my favorite scent, but neem oil works extremely well for my sons dandruff when nothing else helped. I just discovered Plant Therapy in December and I’m already a huge fan. Their products rock! I’m eyeing the Oil of Oregano…. but we will see. This starter pack would be a delight in so many ways! I use essential oils for everything and these blends sound amazing! I am definitely a fan of Plant Therapy Oils! Would love this kit! Thanks for the opportunity! I didn’t follow directions on my first comment! Recently I had a fall — face first into the asphalt — not a pretty sight. Abrasions on face – hit nose, lip forehead — also hit knee and elbow — abrasions and contusions there also. Used Helichrysum minutes after it happened and not one bruise on face! Amazing! I use oils routinely for Immune boosting and in place of over the counter meds. Love them! I am new to essential oils and have only used a few in cleaning. I am very interested in learning about using them therapeutically and making my own body care. I absolutely love Plant Therapy and their EO! I use them in lotions and diffuse them during the day. Awesome giveaway! I am new to using essential oils, I am interested in germ fighting one and I like lavendar and tea tree oils. I loooove essential oils. My favorite is probably peppermint, helps so much with my headaches. However, I also love lavender, so relaxing for sleeping! I stumbled across a pin on Pinterest a few days ago that led me to your page. I’m very interested in learning all I can about the many uses of essential oils. I am a breast (2006)and thyroid (2007) cancer survivor and the treatments wreaked havoc on my overall health and well being. I’ve been seeking a more natural approach to try to return to optimal health and to get my family and household away from all the toxic chemicals we come across in products we use every day. I would like very much to make all of our cleaning, health and beauty products from natural ingredients including essential oils. Your wonderful give away would be a great starter kit to get us headed in the right direction. Thanks for a chance at winning! I love using essential oils in place of harmful chemical manufactured substitutes! So much better for you! Wow only ONE favorite? It depends on my mood. lol I use lavender, tea tree, and peppermint the most. It would be lovely to win this kit. I especially love to use essential oils to calm my anxiety. But I am looking forward to trying many more ways to use them. Lavender is one of my favorites to use in a relaxing Epson Salt bath. Peppermint is not my favorite but I use it a lot. I’d love to try the oils. I’ve been using them more this year – in homemade toothpaste and diffusing them for a bad cold. I am just getting into oil and I have not tried Plant Therapy Oils yet. I am excited! I brush my teeth with Tea Tree Oil and baking soda. Love the fresh feel in my mouth and I really enjoy the fresh taste. Didn’t take long to get used to it either. I am just getting into using essential oils.. I have used lavendar and orange essential oils when i made homemade body butter and lotion bars. Love using lavendar for headaches. I want to learn and use more of them. I love my orange oil and oregano oil really excited to try more! I use frankincense on the bottom of my feet to improve immune system function. I have read that it increases your white blood count. I love essential oils and would love to have this set! My New Years resolution is to start using oils this year! My most often used EOs are peppermint and eucalyptus. Peppermint is a lifesaver for my frequent migraines, and eucalyptus for anything sinus related. I just started learning about the benefits of essential oils and the giveaway came at the perfect time. I don’t have a favorite yet but hope I win this to find out what my favorite is. Thank you! I love using essential oils and have even gotten most of my family to use them. I appreciate having a natural alternative to traditional meds which have so many side effects. I’ve started making my own lotion bars using lavender eo, but my next batch I plan to make a blend of scents, maybe a citrus-y blend. Thanks for the opportunity to win! I use so many everyday that I don’t know what I would do without them! I love using lavender and lemon in my homemade laundry detergent/softner, a combo of tea tree, lemon & lavender in my homemade cleaner, and I always put some in my bath water. Peppermint is my go-to oil, it helps with nausea! One of my favorite EO’s is lavender…multi-use but favorite for burns!! My daughters and I are have a soapathon today. We’re making bars, liquid hand soaps, shampoo’s and whatever we can until our supply of essential oils run out. We could use some more please!!! Tea tree and lavender are some of my favorites. Can a gal only have one favorite essential oil?! I love my lavendar, tea tree, lemon and peppermint essential oils. I also love my own blend of thieves essential oil as well. It is my go to for maintaining health and cleaning in the home. I love the smell of orange EO. Love essential oils for everything from relieving stress and curing colds to making homemade products! Tea tree! Love to use it with witch hazel and acv for a natural facial toner and acne treatment. Also love lavender and rosemary as additions to my “no-poo” herbal hair rinses. I love essential oils because I frequently use aromatherapy to help with my anxiety issues, with great success I might add. I’m just getting into essential oils and would love to win this! I love pepperment oil. It has a great calming effect. I am just getting started using essensial oils, but so far I love them and can’t wait to try more! I am just getting started in natural home remedies, and this would be a great way to get started. Plus I love your website. I love and use tea tree oil frequently for my skin. 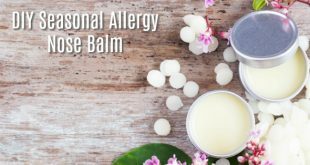 Right now I am in desperate need for eucalyptus and mint oils to make natural decongestant rub – this crazy weather in Ohio this winter is causing me terrible sinus pressure! It was -11 on Tuesday, and almost +50 by today, Saturday! Help! I have been loving lavender in the diffuser lately, it is so relaxing. I’ve heard great things about essential oils but have never used them. Would love to try them. Grem fighter is my favorite to keep my family healthy. Calm the Child Synergy did wonders in keeping my 3 mo. old calm during a very long road trip. Saved our sanity! Love using EO to help me keep my home toxin free. I have lemon and orange oil boiling in a pot of water on my stovetop right now! I tend to stick to my four favorites – tea tree, peppermint, eucalyptus and lavender, although I love the citrus and cinnamon for cleaning. I have only used a few. I used Melaleuca to get rid of ringworm the other day. I am just slowly learning about all the benefits of oils. This would be great to get our family started off right. I like to use epsom salt baths with essential oils. I also use peppermint oil for congestion. Excited to try EO!!! I am most interested in the theives oil… Since I teach 4 years and get sick often ! I really like the spearmint essential oil because it smells so good. Lavender for sure! I love how fresh and clean it smells! My favorites are tea tree for skin, lavendar for relaxation and peppermint and eucalyptus for sinuses and stomach problems! I’m new to EOs and am fascinated by the claims! I’m especially interested in peppermint, tea tree, and lavender. I am a huge fan of essential oils…please please please pick me! Well I have only tried peppermint oil for headaches and I love it! I love lavender when I need to relax and rest, and peppermint is my favorite for energy! I have just started using essential oils and would love to win! My favorites have got to be tea tree and lemon! Great giveaway. I pretty much use lavender oil every day, so that’s my favorite–but there are several new ones on this list that I’d love to try! I love Thieves so I know I would love the germ fighter. I love my EOs!! My husband had a cold that barely lasted 3 days because of the “flu bomb” blend: Lemon, Melalueca/Tea Tree, OnGuard/Thieves, and Oregano. Lavender is my favorite..I love using it at work because it can get stressful at times and it helps relax me. We use eucalyptus oil a good bit this time of year to help with our children’s breathing issues. I’d say that is our favorite oil at this time. I really really really want to win this!!!! I can’t get a job yet, so no money to buy stuff like this. I am very interestesd in these kinds of things though! Lavender! I use it for so many things, including allergies, pains, burns, and calming. I love peppermint. 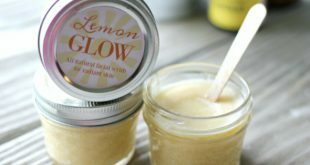 I use it for homemade toothpaste and to clear my sinuses! I use oils to relax when I am in pain. I love using EOs on my bed mattresses and in my laundry; but I’ve been wanting to obtain food grade EOs for the health benefits. This offer is wonderful. Still new to this world – only have 4 so far, so no favorite yet. Would love this set! Tranquil Synergy (Emotional Stress Relief) sounds amazing as do all the essential oil. You can never have too many essential oils. I love love love lavender. 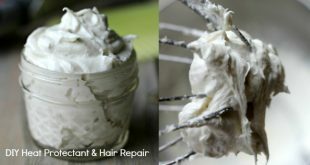 I use it in everything I make–deodorant, soap, lotions, cleaning products, etc! I also love tea tree, orange, bergamot, eucalyptus oil for my sinuses and many more. That is why I would love to win this giveaway! They are awesome!! Thank you so much for offering this fantastic giveaway. I make my own toothpaste and use peppermint oil. My favorite essential oil is bergamot. Though I use tea tree most often. My favorite oil is bergamot. Lavender… a drop on a cotton ball under my pillow each night is so relaxing! We love the germ fighter synergy! I dilute it & rub it on our feet. I’m an EO noob, so I’m still learning, but my favorite thing has been seeing how quickly my kids recovered from their cold after diffusing thieves in our humidifier! I love making my own deodorant with a blend of tea tree, lavender and palmarosa! Essential Oils have become a necessary ingredient in most of my everyday care products. Non-toxic, cleansing, therapeutic – I hope I win this kit so I can try new and different combinations! Just learning about essential oils and would love to try them all!! I use essential oils on a daily basis…from homemade personal care products to green cleaning. I’ve been wanting to try Plant Therapy EOs just because I’ve heard good things about them. I love using EOs and will be a doula soon and wanted to add to my arsenal for diffusing in hospital. Woul really like this set! I have become obsessed with oils lately. I have sever acne and I have started an oil cleansing regimen that has cut down on my acne. My face feels amazing now. I hope to try other oils to for other reasons! I’m very new to using essential oils, but want to learn more. Lavender, helps to destress around here! Essential oils are my new love craze , I am addicted, Love Lavender, to calm and relax me, peppermint to wake me up , sooth a headache, and I always take a few sniffs out in public to kill the germs. I love putting tea tree oil in my kids humidifier when they are sick. Also, I hate to get your hopes down, but I am winning this thing. I will comment when I do. I love lavender and lemon and would love to try many others! I Absolutely Love Essential Oil! I make my own Thieves oil & use it in my oil Diffuser’s on a daily basis! I also use EO’S in my homemade laundry soap & also my homemade body lotion! I recently purchased several Plant Therapy EO’s. I love the scent of the Energy Synergy and it gets me going! I’d LOVE to win this bad-boy! Just starting to get into essential oils but I only own peppermint so far. Right now my cleaning supplies and homemade body care is pretty much unscented since I can’t use peppermint for everything. I was just looking at your epsom salt soak last night. Looks wonderful! Wow, thank you for the opportunity to win this fantastic Plant Therapy kit! I love so many EOs, but would have to say Lavender is my favorite. I use it in my homemade skin care, home cleaning products, and medicinally. I just ordered some of their oregano oil for the first time. Hoping it will help kick this cold to the curb! I love Peppermint essential oil because it smells and tastes so good. Lemon is rapidly gaining though, for its usefulness and versatility. Thank you for the giveaway! I love lavender essential oil to help me relax at night! Love essential oils, but have gotten away from using them lately. I would love to get back into using again regularly. I’m just beginning to learn about EOs…. fascinating! Lemon is my favorite so far! I can’t pick just one favorite. I love lavender, tea tree, and peppermint. I’ve never tried actual blends, but would love the opportunity!! Would love to try plant therapy oils. Hard to choose just one fav oil. I love Peppermint oil for many things. There are several oils I’ve been wanting to try that I’ve not had the chance to yet, though. We use tea tree oil and peppermint oil in our deodorant and in a remineralizing tooth paste. Lemon is another favorite I like to use in my laundry. Sometimes I add lavender to coconut oil and use for a relaxing bath. I am still rather new to essential oils but know we have reaped many health benefits. I am always looking for new ways to incorporate the few oils we own into life hacking successes. I’m a newbie at using essential oils but I’m loving them! Thank you for such a great give-away!!! I’ve never used essential oil before, but I would like to. I like using essential oils in my humidifier. I love Lavender alone and almost all my blends for body and soul include it–so versatile. I love Lavender and add it to my bath and lotion. I love lavender oil. It smells great and relaxes me. Perfect for spraying on my pillow. I really love tea tree or lavender. They are both so essential for this time of year. Diffusing them in my home just makes everything smell clean & fresh. I love the home made bath salt recipe with lavender oil and I also use Wild Oil of Oregano for cuts and abrasions. I love lavender for it’s calming effect, and to reduce my migraine pain. I have just started investigating essential oils. Fascinating! I have only used tea tree oil, lavender and tangerine so far. Can’t wait to try new oils soon! I’d love to try these out! Essential oils have interested me for a while, but the choices are so overwhelming. I love Eucalyptus oil… It has been a total life saver for me when I get sinus infections! Haven’t been too adventurous so far, but always put lavender in my bath! I use peppermint and eucalyptus for headaches and sinuses. Bath products! Especially bath bombs for detox baths. I couldn’t live without my Lavender Essential Oil. Great for migraines! My favorite is lavender. However, I use tea tree oil alot too. I love essential oils but do not know a lot about them….would love to learn more. Thanks for the chances to win…. Love essential oils! There are so many benefits of them. Simple uses include peppermint for curbing my appetite or a boost of energy, and lavender for calming – especially in a hot bath… Love them! Wow thanks for this opportunity – I have been wanting to start experimenting with essential oils for a while now. I hope I win! I would love to try them. I would lije to make some skincare products. I love lavender. I haven’t started with essential oils so am not sure how I would use all/any of it but have wanting to try! Maybe in the laundry soap or fabric softener I am going to make? I like peppermint, cinnamon bark, lemon and orange the best! I love collecting essential oils. Haven’t tried orange or lemon EO yet, so this would be lovely addition to my collection. Love to use the diffuser with essential oils in my classroom! I like to put lavender and rose eo in my baths, and I also like to make deodorant and perfume with them. Just beginning to use EO’s. Great opportunity to try others. Haven’t used essential oils yet. Made the switch to eating real foods and DIY all natural cleaning products about six months ago. After much research I’m very impressed with the various uses and look forward to using them. Thank you for this opportunity! I haven’t been able to afford any essential oils since I have learned about them. Here’s to hoping that I win!! I use oils for different purposes. We like to spray Germ Fighter for killing bacteria and making the house smell better. I use frankincense on my glands. I like to use oils instead of perfume too. I love the smell of geranium oil, and find tea tree oil most useful for skin problems. Not sure if it’s considered an ‘essential’ oil, but I use Neem oil year round here to fight off plant pests. A blend of essential oils is used regularly to keep fleas and ticks off of our dogs. Also, when I had milk goats, I used a blend of oils that included peppermint, tea tree, and eucalyptus as an Udder rub to treat mastitis. These oils never fail to impress me with how effective they are! Sweet Orange and Peppermint are my two faves. Thanks for the chance to win them. So far my favorite is lavender in a warm bath to relax or to help me sleep. I have always loved using Tea Tree oil as well as Lavender. I becoming increasingly interested in so many of the other EO offerings out there! I love essential oils!! I don’t really have a favorite, I love to change up what I use to benefit us in specific situations. I’ve been looking to use them even more as we are trying to move away from painkillers and other drugs with such horrible side effects. I am a newbie to essential oils so I don’t have a favorite yet. Looking forward to learning and experimenting. I use lavender constantly! Love it. I love lavender. It is very calming and after a long day helps relieve tension easily. We like to rub lavender on our feet at night. I absolutely love the relaxation properties of lavender essential oil!!! I love lavender and orange for using in my homemade deodorant, oregano for illness, peppermint for chapsticks and reducing kids fevers. I am starting to use essential oils for everything from skincare to cleaning. Love them! I have only used essential oils to make face cream but want to do so much more! I’m a big fan of lavender for headaches! My 76 year old mother uses essential oils all the time! I am just beginning to try them – peppermint is great for poison oak, ivy. Lemongrass is wonderful in soap I made at Christmas. Learning more and more about them and loving it! I haven’t used essential oils yet but I’ve really wanted to start using them! I use essential oils practically daily. I am trying to start a business selling skin care products for infants and families that I have created. I also am studying to become a clinical master herbalist. My husbands job is in jeopardy so I’m hoping I can launch a businesses successfully. This giveaway would b awesome! Thank you so much. I love ur recipes. Ur apple dumplings made my day. I have been gluten free for 10 years out of necessity not choice. Wouldn’t change it now but that wasn’t my view for a long time. Those apple dumplings tasted so close to wheat I ate the while first batch I made. Thank you so much for that recipe! Thank you for a chance to win. Just starting out with Essential Oils and I love all that they can do. I love Tea Tree oil for cleaning! Hope to win. I currently use lavender essential oil but would love to try the others in the set!!! My favorite essential oil is lavender. I’d love to win and try others. USE THEM EVERYDAY. WOULD NOT BE WITHOUT THEM. Use oils everyday. Great gift idea too. I love EOs and use them for everything – cleaning, aromatherapy, health and wellness. I really like Plant Therapy’s Immune-Aid and Germ Fighter Synergy Blends. I used them last night to ward off sickness. I love Plant Therapy!!! Lately I have been diffusing Germ Fighter and Immune Aid in the house since everyone around us seems to be getting sick. I also like to use lavender in a spray on my sheets for a calming night’s sleep, or drop some peppermint in the steam mop to make my floors smell nice. I have been using tea tree oil, but love to try different ones. I love lavender because it helps me sleep like a baby! Great giveaway. I’m already signed up the news letter! Love your blog/site! The only EO I’ve used is tea tree oil, which I love. I’m looking to learn about and use more EO’s. I enjoy your blog/site. I use peppermint, lavender and several other essential oils. My favorites are peppermint, lavender,and eucalyptus. I use them all the time for everything. My son has cerebral palsy. Colds and allergies are hard on him. He loves to be rubbed down with peppermint. It is soothing to him and opens up his stuffy head. I really love melaleuca oil! but it seems every time I try a new one I love it too! I love all the oils . I make my own body lotin. Lavender makes great bath oil.Eucalyptus I want to make vapor rub.Wonderful giveaway!!! I LOVE my essential oils! My favorite one is germ fighter (from Plant Therapy!) and peppermint for headaches!! Thanks for the info on making your own germ fighter… my husband HATES cinnamon and won’t use the oil due to that smell… but now I can make him his own special blend while the rest of the family uses the bought one!! I mix a few drops of lavender and tea tree oil with Tamanu oil for my skin. It helps prevent breakouts and heal existing acne. love, love, love, lemon essential oil for my homemade toothpaste!! yummy stuff! Clove works great on toothaches, and lavender totally relaxes! I am just starting to learn about the benefits of EO’s and I am very excited to see what I can do for my family’s health using them. I am new to EO, however, I have been learning a lot in the past few months. I love the immunity blend from plant therapy, although the calm the child blend is also great. I have been wanting to try more EO’s and I do use peppermint and lavender alot! I would be very excited to try all the rest! Really interested I nt hese . . . I urgently use tea tree oil regularly. One of my fave blends is a fungus relief blend. Consider me for this win! Thank you. I would love to experiment with these! I use lavender essential oil for stress. I put a little on a hanky and use it all day long. I don’t have experience with essential oils. Just trying to learn and would love to use it for the health of our family! I love using lavender on my baby when he goes to sleep at night. I guess I like them all, especially lemon. I use them in moisturizers, soap and internally. I LOVE peppermint EO!! I drink them, I mix Peppermint with coconut oil as lotions to give me some PEP while I’m at work. I have a couple others, and know I want to use more EO in my daily routines!! I have been using Germ-fighter and Immune-aid to keep my kids and I well during this horrible cold and flu season. So far, we know we have been exposed to friends with confirmed flu and also stomach bugs and colds, and the only illness we’ve had is when my son ended up with bronchitis from breathing in too much sawdust from my hubby’s latest project. I treated the bronchitis infection with oregano, and alternated Germ-fighter and Immune-aid (applied on his feet), peppermint when he ran fever, and eucalyptus on a cotton ball stuffed in the vent of his humidifier to help with nighttime congestion. I would love to win this multi-pack and start making lotions/soaps/etc. I am new to the use of essential oils, but do use Lavender. Your website was referred to me by Christy Martin and Nancy Dorsey. My favorite essential oil is peppermint. I love the invigorating smell. We love using essential oils. Thanks for the lovely giveaway. I love to use thieves oil for cleaning and germ fighting! I like that there is an immune oil combination. I have an autoimmune illness and that would be so helpful. I JUST got Germ Fighter in this week! Has a great smell even the kids like! My personal fav of all my Plant Essential oils is probably Lavender bevause it’s so versatile. I use essential oils everyday. Love Lavender, tea tree, eucalyptus, cinnamon, geranium, and many more. What a great giveaway! I have so many favorites – Lavender, Tea Tree, Patcholli…. I am just entering the world of essential oils. So far I have tried fighting a cough and congestion in my son, the oils have been a great help. I love the smell if all the citrus oils, and the usefulness of clove and cinnamon. I am learning more and loving them all! We use EO’s every night, in and after my LO’s bath. Our faves are lavender and eucalyptus. I make a skin cream with lavender, vitamin E and coconut oil. I’ve never used essential oils before but I would love to learn! My favorite oil is tea tree oil – it is magic! But my boys love peppermint. I have been wanting to start using oils, but not sure where to start! I want to start using essential oils and this is perfect for trying all of them! Thank you for the giveaway Kelly. Thanks for having this giveaway. We like to keep our medicine cabinet stocked with essential oils! Lavender is my favorite! Probably because it is so versatile. I use peppermint and basil oils in a hot bath for my arthritis and fibromyalgia. I use tea tree oil, but would love to try more essential oils. I love peppermint essential oil, I use it for muscle aches and in my homemade toothpaste and just when I need a pick me up. I have oregano oil that my family used for the flu and I have an amazing healing balm made with essential oils that I absolutely love. It helps with burns, aches, pains, bruising etc. Essential oils are wonderful and I would be ecstatic to win this kit! I would love this set! I have been introduced to doterra, but would love to see how effective these oils are! I use tea tree for disinfecting. Had a split lip (dry climate in S.Africa and dry air on aeroplane trip) but it soon healed with ointment containing calendula. Yes, I would love to win the giveaway and be able to concoct my own products.